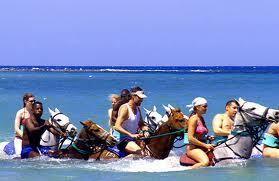 Runaway Bay Jamaica Activities will leave you breathless with its beauty and mystery. Situated halfway between Ocho Rios and Falmouth, it is on the northern coast of Jamaica, is where you'll find Runaway Bay. 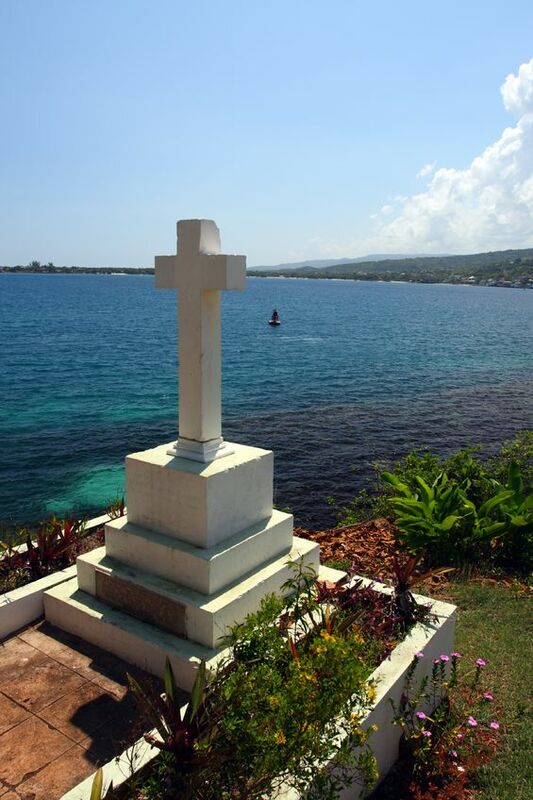 It is assumed that this was the runaway point for Africans slaves taking the 90 miles canoe trip to Cuba and freedom. As part of the activities in Jamaica for you to enjoy, there are two exquisite beaches in Runaway Bay for you to dive, surf, and swim, and they are Paradise Beach and Cardiff Hall Public Beach. 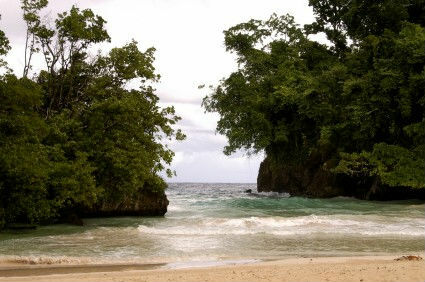 Both Paradise Beach and Cardiff Hall Public beach are popular beaches for Jamaicans and are not crowded. After a day of snorkeling or diving, you will want to stretch out onto this bleached white sandy patch of beach where the lapping of waves against the shoreline is so soothing and relaxing you'll want to sit back relax, read your favorite book or just go for a walk along the beach. Runaway Bay offers the best snorkeling because of the reefs being so close to shore, you'll love the diving in this area. These reefs are full of over seven hundred species of marine life, including schools of tropical fish such as kingfish, parrotfish, blue chronis, small skate rays and snappers. 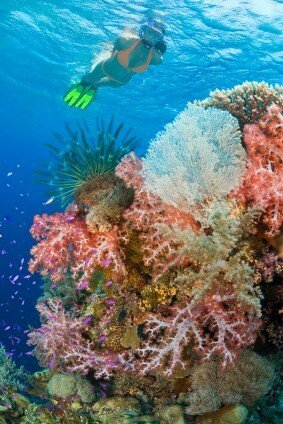 Scuba Divers will see a reef complex called Ricky's Reef which is renowned for its sponges. More experienced divers can explore the Coral Canyons and also see the Reggae Queen which is a sunken tugboat. And of course you can have your picture taken sitting on King Neptune's throne, another of Runaway Bay Jamaica Activities to experience. 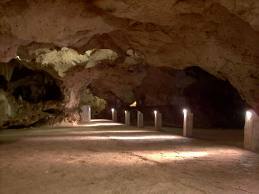 You'll be impressed by these mysterious caves that holds so much history, situated just east of Runaway Bay. You can go fishing in the Green Grotto Caves nature park that has an underwater lake 120 feet below sea level. With inland caverns revealing strong tree roots as they crack through the rocks, lime rock formation resembling natural crystal shapes, and some in the form of some kind of animals. Another of the many Runaway Bay Jamaica Activities is golfing. 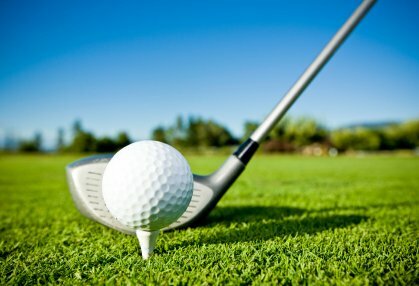 You can enjoy a day of golf at the SuperClubs Golf Club. There is no charge if you are a guest here or at any of their affiliate SuperClubs. But non-guest are also allowed to play golf here for a nominal fee. The famous Chukka Caribbean Adventures, located east of Runaway Bay, has a complete equestrian center, where you can ride and swim with your horse. Feeling adventurous, then you'll love the Ocean Safari where you can pilot a two-seat inflatable Zodiac style boat gliding along the coast viewing unspoiled coves and beaches, stopping at the ultra private beach of Sandy Bay. This very interesting Runaway Bay Jamaica activity is found along the roadway on Queens Highway, where Pimento trees, which produces allspice are all around the Columbus Park. There you'll see a fantastic collection of exhibits such as canoe made from a solid piece of cottonwood... the way Arawak's made them some five centuries ago, fish pot made from bamboo, corn husker and a water wheel. You'll see a tally that was used to count bananas carried on slave's heads from plantation to ship. Columbus Park Museum shows you how generations lived centuries ago. It is free to visit and is opened Monday through Friday from 8am to 4pm. This great house contains centuries of Jamaica's history with collections of artifacts once used by African slaves. The Seville Great House, Heritage Park is modest in stature, and was one of the first Spanish settlement in the area. Was also the site of an Arawak village and is full of history. If you would like to know more about this Great House, just ask and they will show you a 15-minute historical film about the site from Arawak times through the era of slavery and into colonial period. The clean and beautiful Runaway Bay H.E.A.R.T Hotel is a bargain hunter's dream. This is a hotel training and service institution where young Jamaicans interested in working in the hotel industry learn their trade. I have listed the contact information for Runaway Bay H.E.A.R.T training institute for your easy reference. The staff at this hotel is both helpful and very professional.. you'll be enjoying great service and views of the bay and golf course. After a day of Runaway Bay Jamaica Activities you can dine to your delight at the Cardiff Hall Restaurant which serves superb Jamaican and Continental dishes.